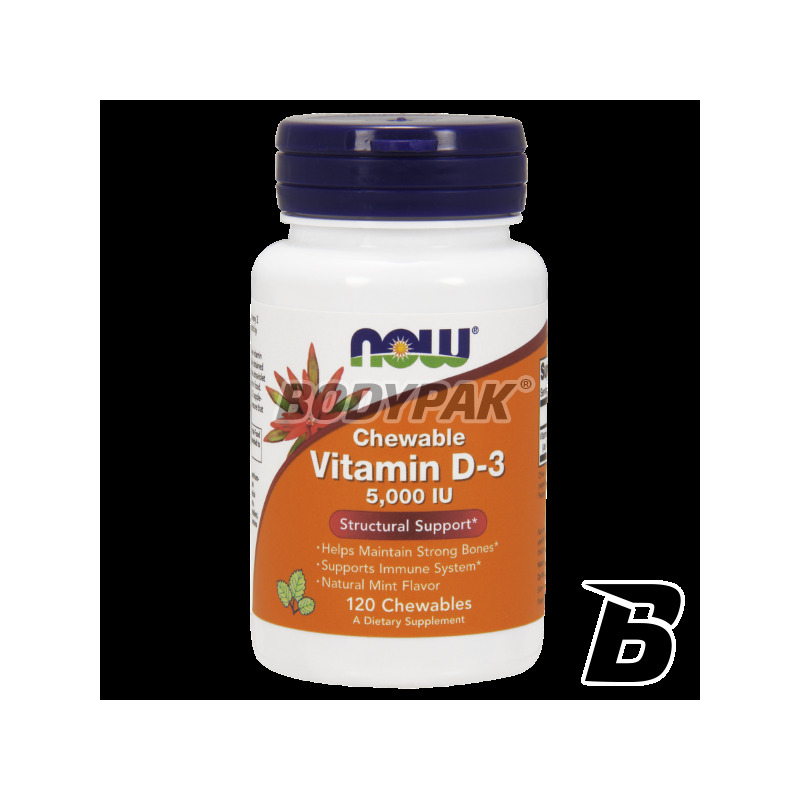 Vitamins & MineralsNOW Foods Vitamin D-3 5000 IU [tabletki do ssania] - 120 tabl. 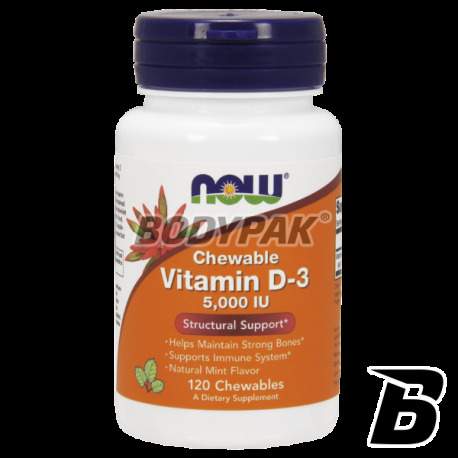 NOW Foods Vitamin D-3 5000 IU [tabletki do ssania] - 120 tabl. The product is rich in vitamin D3, which has a positive effect on the absorption of calcium and strength, and the general condition of the muscles and joints. High quality and good price will surely appeal to you! Vitamin D3 is naturally produced by the body when it is exposed to direct sunlight. However, exposure to UV rays and synthesis of vitamin D3 depend on many factors (season, age, skin color). Vitamin D3 is one of the most active forms of the vitamin! Bet on the quality and enjoy your health!